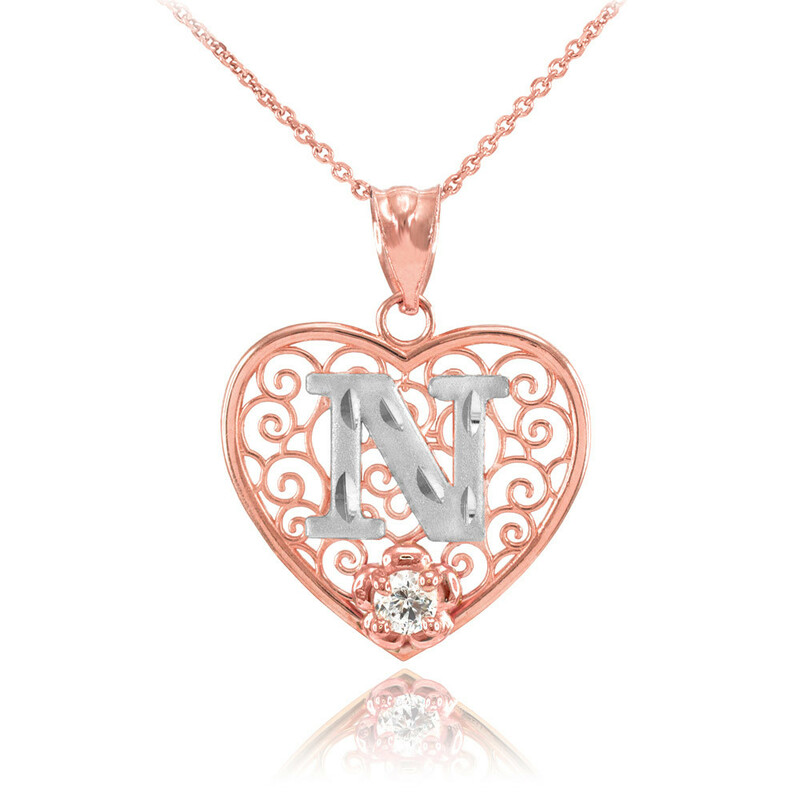 Unique style featuring a filigree design. Initial letter is satin finished and has precision cut elements. CZ letter N pendant necklace in solid two-tone 14K gold. High polish finish.